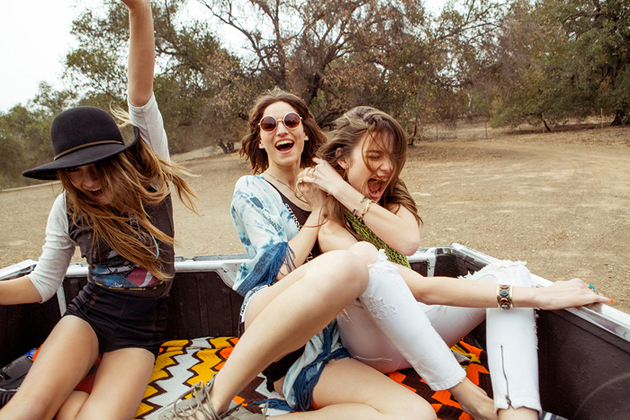 Urban Outfitters March 2014 Lookbook. That attitude is well underlined in the new Urban Outfitters lookbook lensed by photographer Magdalena Wosinska which does seem to reflect a cool weekend spent on the road, having fun with friends. 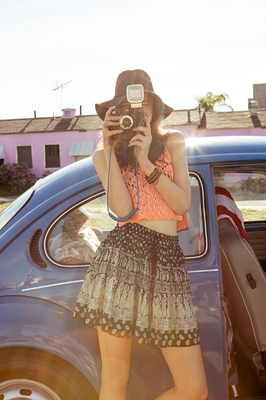 As expected, this month's Urban Outfitters lookbook is filled with amazing bohemian ensembles with a cool laid back vibe. Crochet crop tops, short dresses, tie-dye pants, distressed denim, cool maxi skirts and fab printed short skirts, fab graphic tees with an edgy flair and fringed jackets are just some of the options that the new lookbook brings into the spotlight for the new season. In addition to these lovely garments, the label also includes several cool accessories that perfectly complement the effortlessly chic ensembles. Given the theme of the new spring 2014 Urban Outfitters lookbook, it's only natural that comfort is a top concern for the brand, so low heel ankle boots, chic sandals and flip flops dominate in the new lookbook. As far as other accessories are concerned, it seems like retro round frame sunglasses, chic metallic cuffs and cool necklaces or fab floppy hats are among the options that can help put a fun spin on even the simplest outfits. If you're planning on attending any festivals in the upcoming months and you're in need of a few ideas on what to wear, the new Urban Outfitters March 2014 stylebook features plenty of cool options worth experimenting with, though plenty of these options can definitely work well past the festival season. Are any of pieces from the retailer's newest lookbook calling your name?